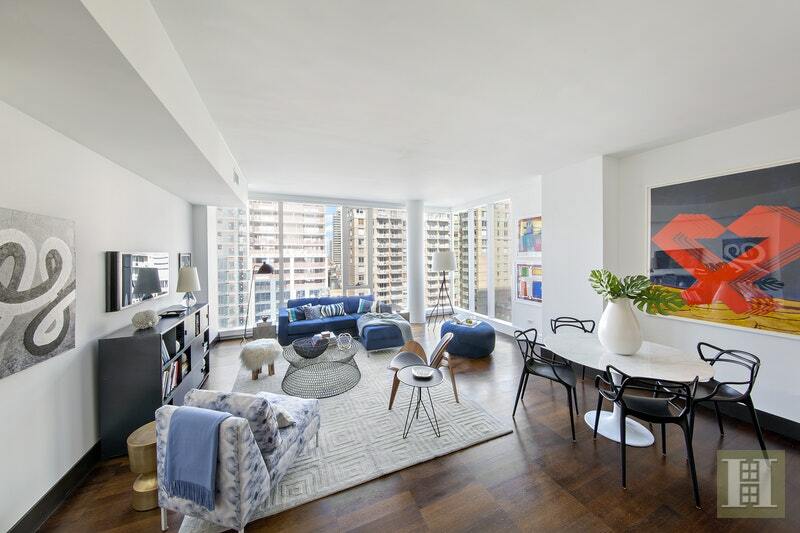 A stunning 2-bedroom/2.5 bathroom condominium with floor-to-ceiling windows and an abundance of light and open views from northern and eastern exposures throughout the home. 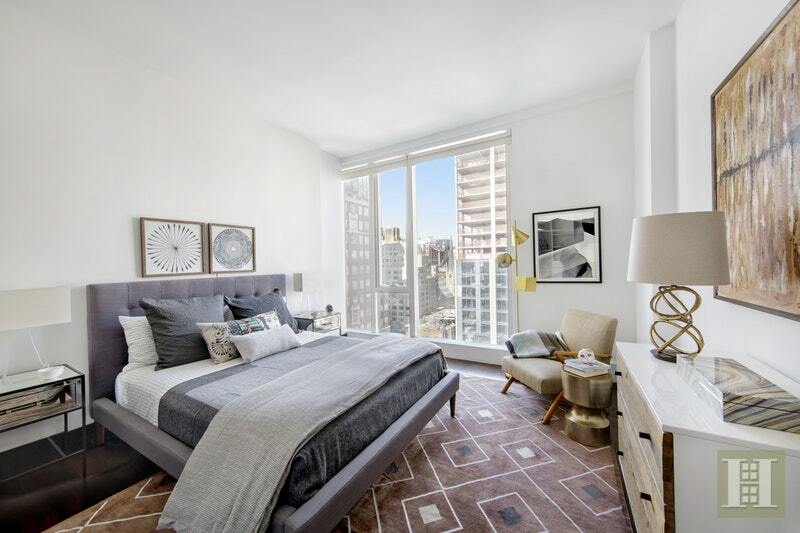 Sophistication abounds with 1,646 square feet of contemporary finishes, materials, and designer details. A large corner living room boasts 10-foot ceilings, while the open chef's kitchen with an expansive breakfast bar makes the grand-scale room perfect for entertaining and comfortable day-to-day relaxing with friends and family. 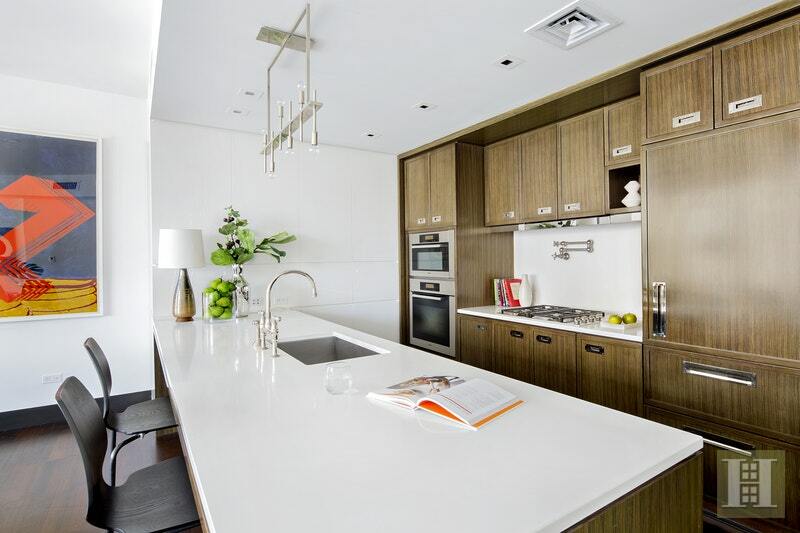 The kitchen is a culinary delight featuring beautiful white Caesarstone counter tops, an abundance of custom millwork cabinets, high-end appliances, including a Sub-Zero refrigerator and a separate wine fridge. A peaceful retreat, the master bedroom contains multiple closets, including an extra-large custom walk-in. 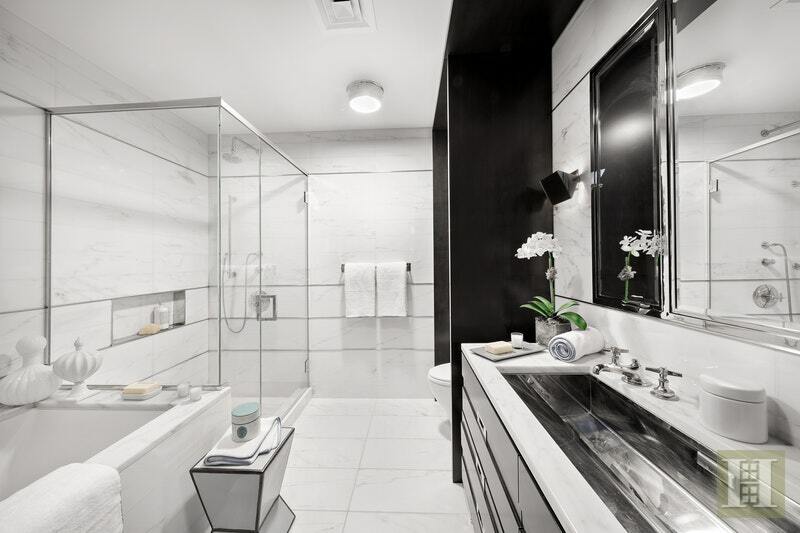 You can escape to the spa in the en-suite marble bathroom with a deep soaking tub, glass-enclosed rain shower, and custom double sink marble top vanity. The oversized second bedroom has extensive closet space and an en-suite marble bathroom. There is also an elegant powder room near the foyer with gorgeous mosaic tiles. Other highlights: Central AC, dark-stained solid oak wood floors, high ceilings, and Miele washer and dryer. 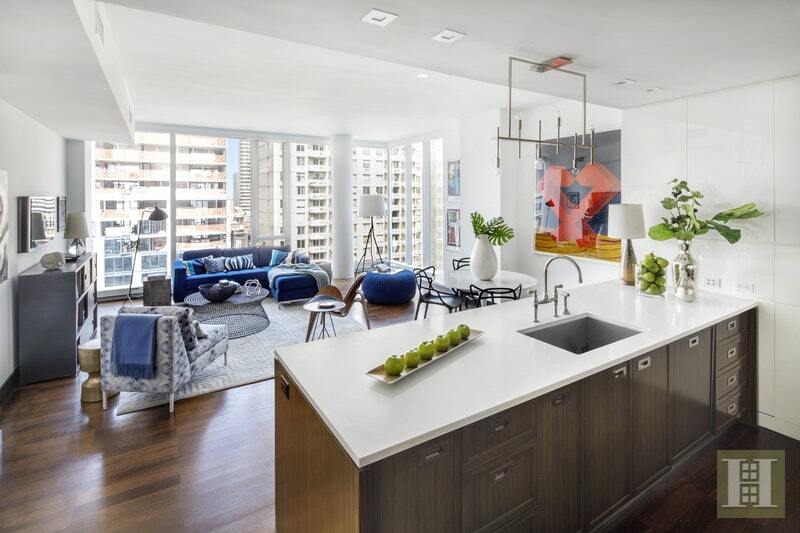 Built in 2007 by esteemed architects Cook + Fox, The Lucida is the Upper East Side's first LEED-certified condominium and one of the city's most distinctive and notable residences. This luxurious building contains 8,000 square feet of unparalleled amenities, some of the finest in Manhattan, including La Palestra health club with state-of-the-art aerobic and strength training equipment, three-lane sky-lit lap pool, yoga and pilates studio, massage/treatment rooms, sauna and steam rooms, and locker rooms. In addition to a 24-hour doorman, attended lobby, concierge service, and live-in superintendent, the residence is also equipped with central air conditioning, an intercom, emergency generator, filtered air, large elegant lobby with a fireplace, catering kitchen and party room for private events, entertainment lounge and game room, sky lounge and roof garden, wine cellar, bike room, private storage, children's playroom by Kidville, golf simulator, basketball court, and refrigerated lobby storage for deliveries. Pets are welcome too! Close to Museum Mile and Central Park with convenient access to high-end boutique shopping on Madison Avenue, art galleries, fine-dining and charming cafes, gourmet grocers, respected hospitals, notable private schools, the 92nd Street Y, the crosstown bus, and several local & express subway lines. It's an ideal location making this an easy place to call Home Sweet Home. 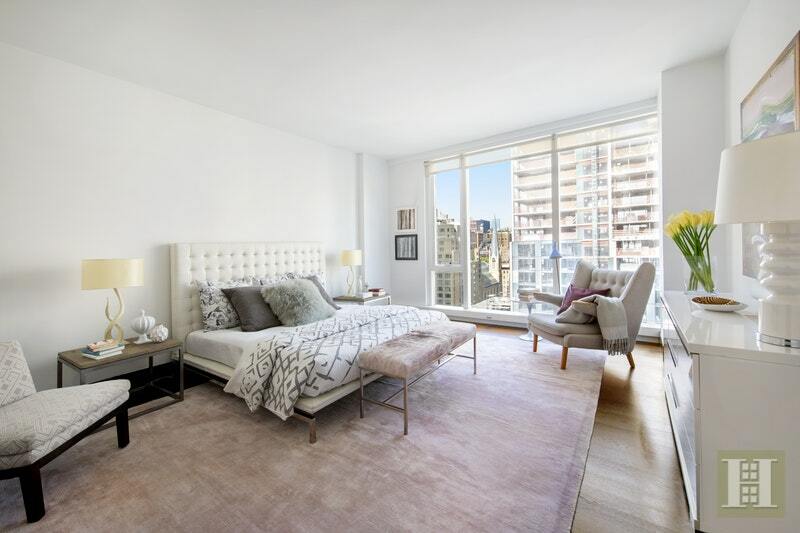 A luxurious, private, and healthful living environment amidst the hustle and bustle of NYC.